We all have seen these sort of dishes in our in kitchen sink and we also have seen our mothers trying their best to scrub the seared bases of the dishes with soaps, damaging their hands in process. If only this you were aware of this one magic solution. Take a small bowl. Pour three tablespoon of vinegar, two spoonful of baking soda and some hot water in a tub. Soak all your dishes in it over night. And next morning you will find all the stubborn stains gone. This magic solution can be used to clean stove and inside of your oven. When your kitchen sinks and potholes are clogged and your plunger has given up, vinegar can come to rescue. Just take some cooking vinegar, heat it and pour down the sinkhole or pothole and wait. The magic solution will unclog it. If you have delicate and costly glassware, the prime concern is to keep them safe while cleaning them. You don’t want them to lose their new-like sheen. That is why you must go for vinegar. Just add a little bit of vinegar in water and give a light rinse. If you do not have eggs at home and you are in an emergency to bake something. A small spoon of white vinegar can help you out. The cake will be fluffy and also, the cake will be perfect for vegans. Ceramic floors are hard to keep white. Stains and spots easily raid the white ceramic floor but just a dab of vinegar can help you out. Just pour in some white vinegar in a bucket full of water. Take a sponge or a toothbrush to scrub off the stains. Did your kid again spill food on his or her clothes? Some little white vinegar can help you out. 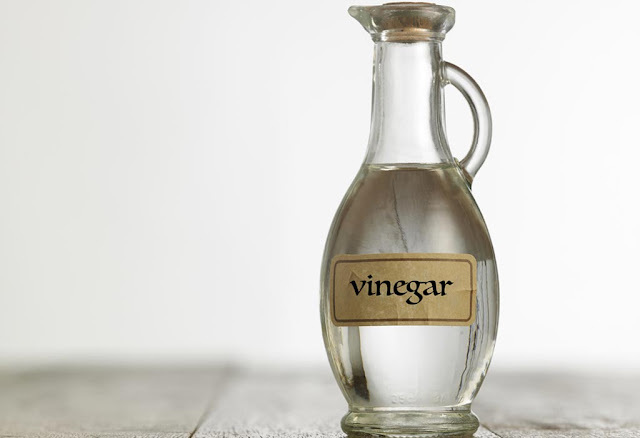 Vinegar can help you wash away even the stubborn stains from clothes.